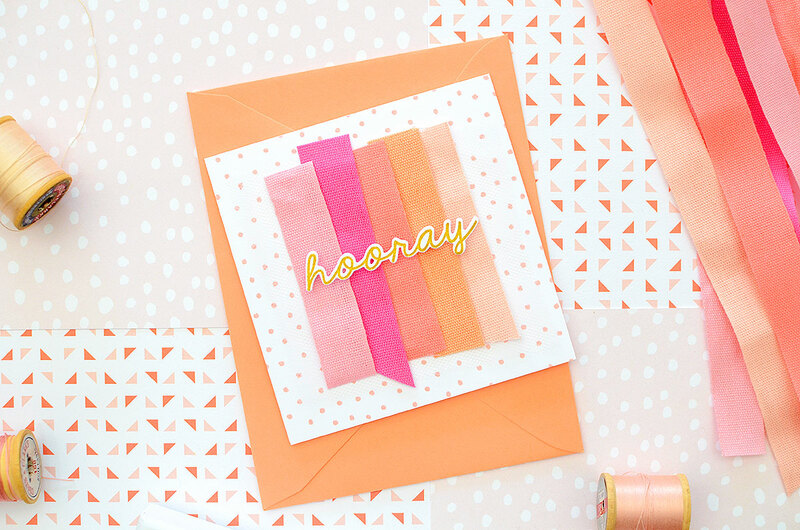 The Stamp Market :: Hooray for Cards! Hey there! I want to share something that screams "FUN" today. 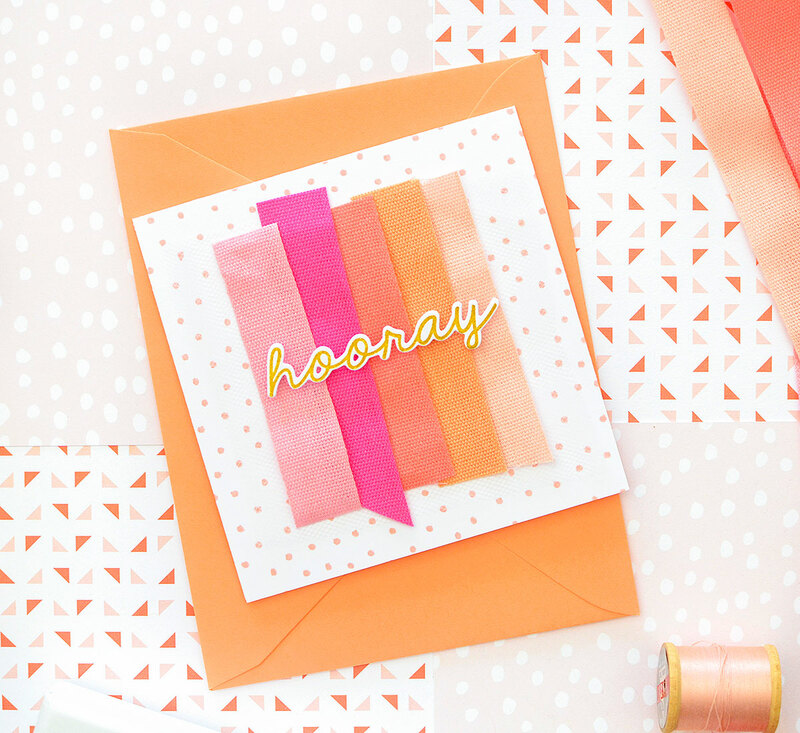 I recently was invited to join The Stamp Market design team (to which my answer was a resounding YES! ), and I"m excited to share one of the projects I made with the February release. 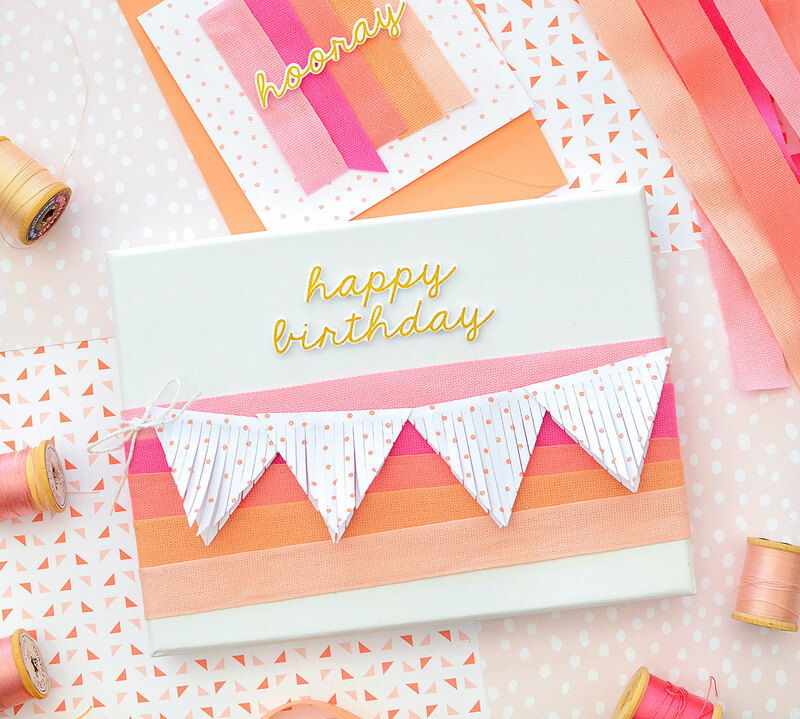 From the color scheme to the fringe and confetti dots, I've got a present and matching card that are wrapped in pure delight. I was so excited when TSM introduced ribbons into their shop a few months ago. 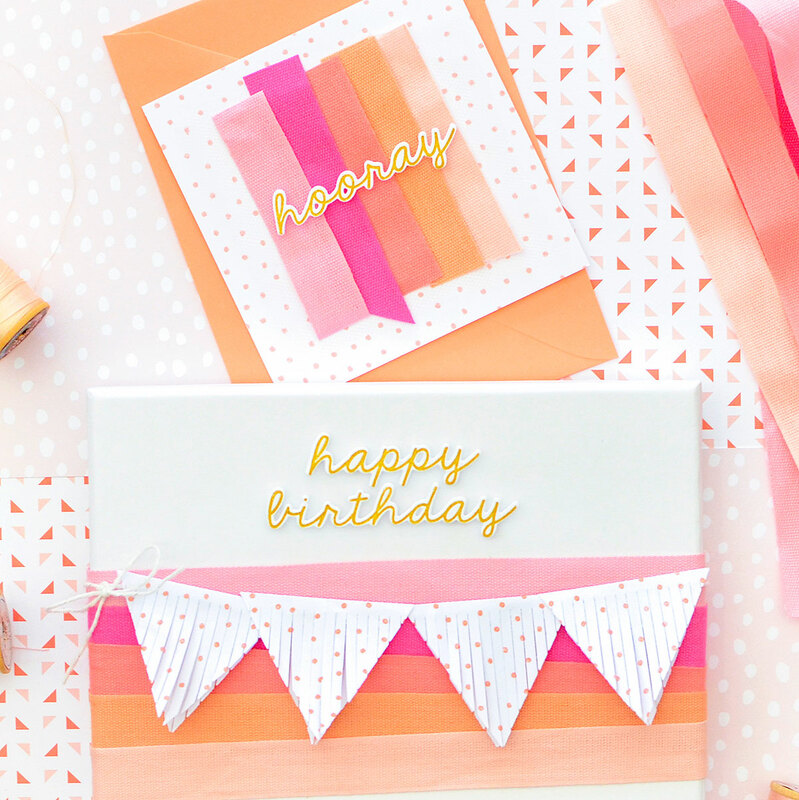 They're an integral part of gift wrapping--a paper craft that is very near and dear to my heart. 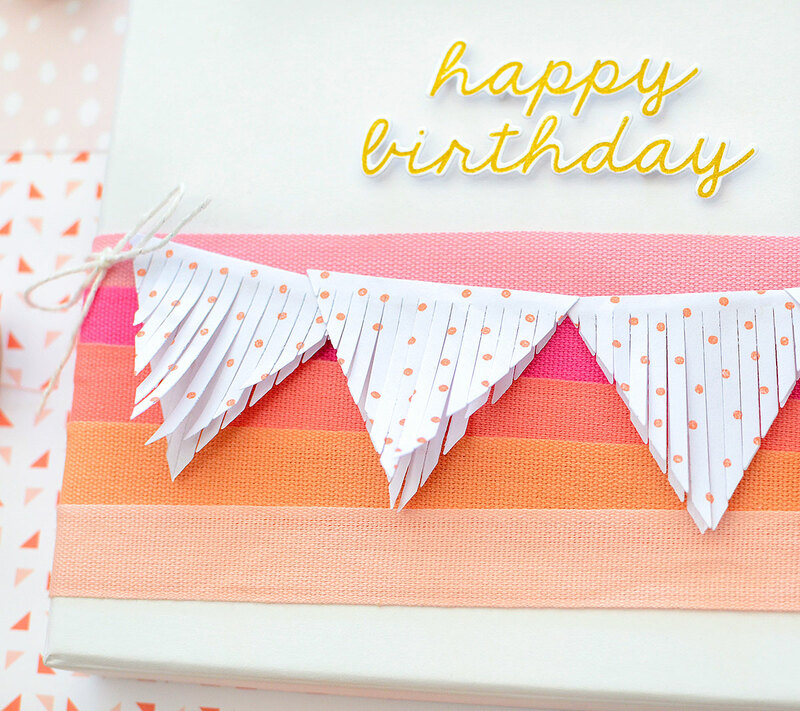 The ribbons are saturated in beautiful colors and whilst thinking about what sort of project to create for this post today, I pulled them out. 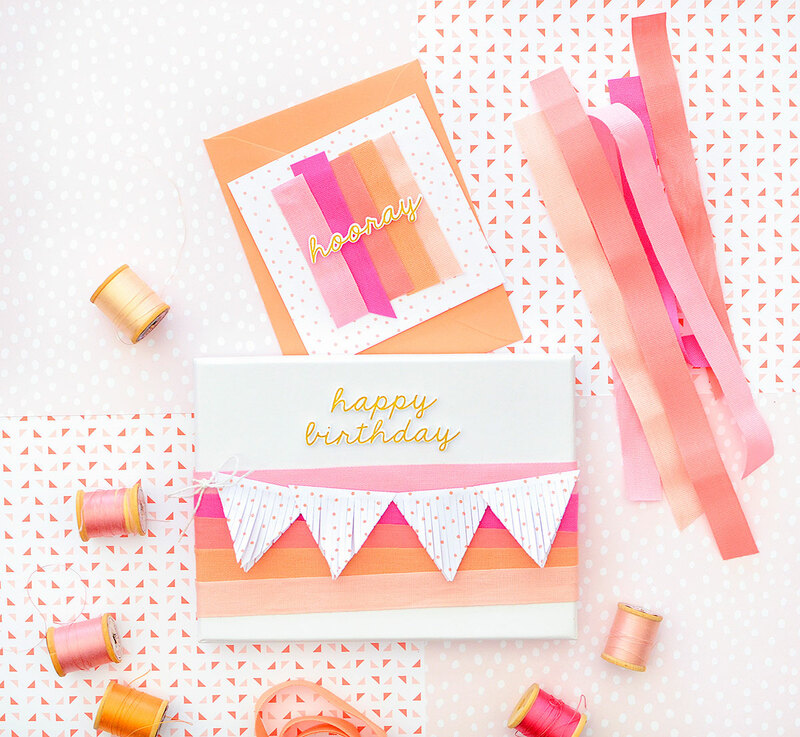 A white box is the background for the wrapped present, and I wrapped 5 of the ribbons around it, in a rainbow of warm colors that remind me of ice cream sherbet. I didn't bother trying to keep the ribbons straight and even, but rather went for a more offset look, which I like better for this project. 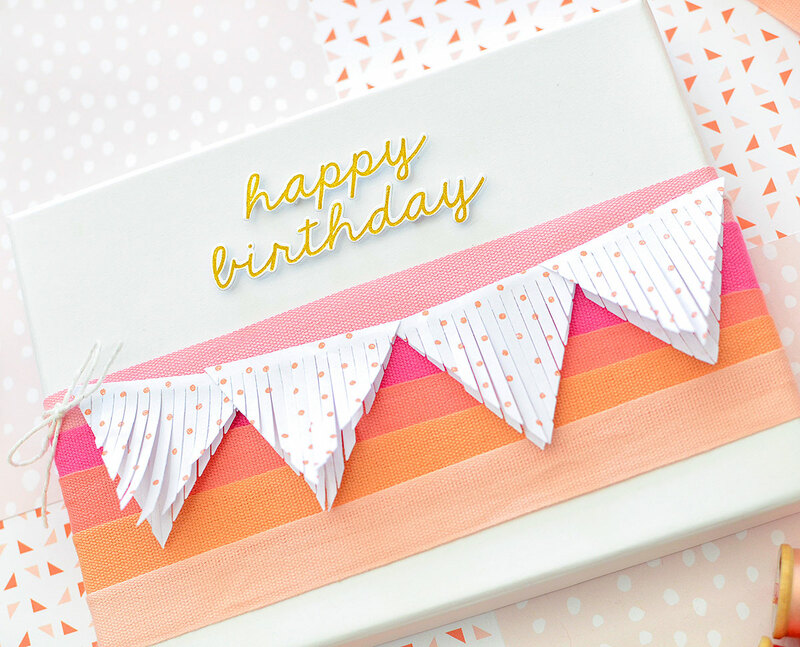 That in itself would have been pretty enough, but I do like to add a few more details, so a cute banner created with the Small Fringe die was just the thing. I stamped white paper with the Confetti Background stamp, then cut out 4 fringe flags, arranging them in a line on white twine. 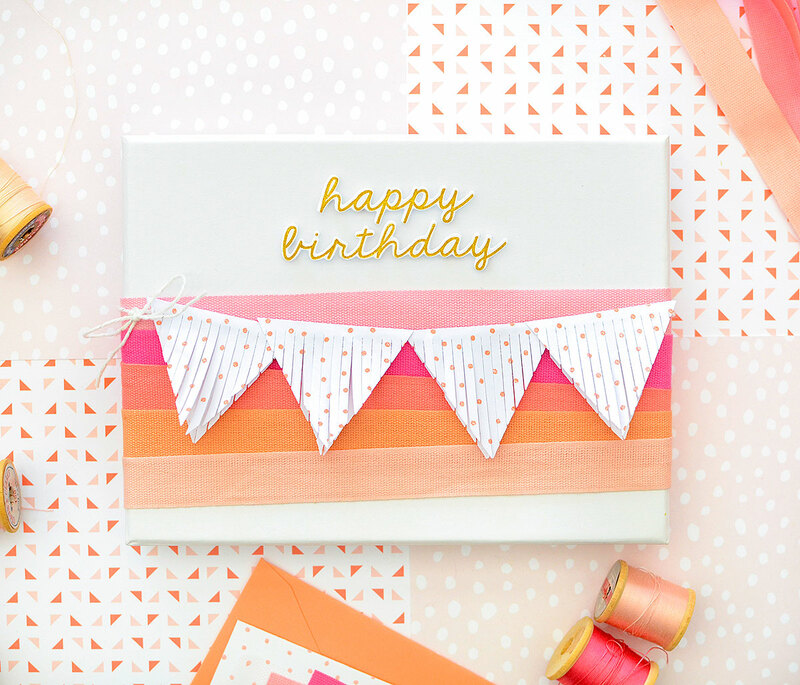 The final touch for the gift was the die cut 'happy birthday' sentiment from the Hip Hip Hooray set, adhered right to the box with 3D dots. I chose to stamp it in a deep yellow/green for contrast. While I was at it, I decided to go ahead and make a matching card by stamping a background of confetti again on a 4" x 4" white base. That stamp is so perfect for pretty much everything! There's a light swatch of pink tulle underneath 5 ribbon scraps. Then I placed a 'hooray' die cut in the center to top it off. I hope my recipient will love this ensemble as much as I loved creating it. Looking at it is making me hungry for ice cream, though, so I'd better send it off soon! Many thanks for hanging out with me today; I hope you were inspired to make something fun!